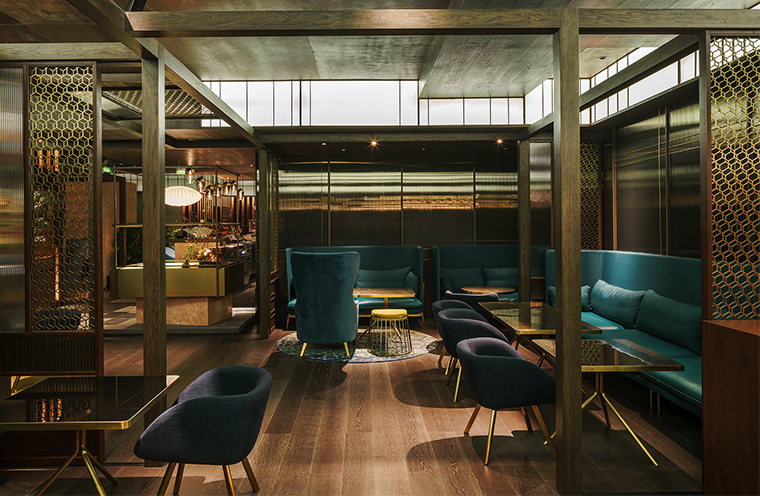 Japanese cuisine, German Chef, English Designer: Red Design is proud to present UMI, a restaurant which opened in the much-anticipated new Swire Properties mall in Shanghai, Taikoo Hui, in early 2018. With a name and concept derived from the Japanese word for ocean, the design aesthetic for Umi is anchored with a Japanese soul. Traditional Japanese principles of architecture and design combine with western detailing and finishes to form a cohesive interior space. The concept is also evident in designer’s material palette: materials are selected which react to the effects of the sea. Aligned to the same concept, a unique oriental cuisine for Umi is designed by internationally recognized chef Bjoern Alexander. AD magazine sampled ‘A Taste of the Sea’ when visiting the restaurant, hidden on the 4th Floor of Taikoo Hui. Entered via a private lift from the 3rd, the visitor is suddenly amazed by a teal-shined sea view. Ultimately Umi is a Japanese restaurant, bar & lounge with western influences guiding the cuisine and alcohol offering. 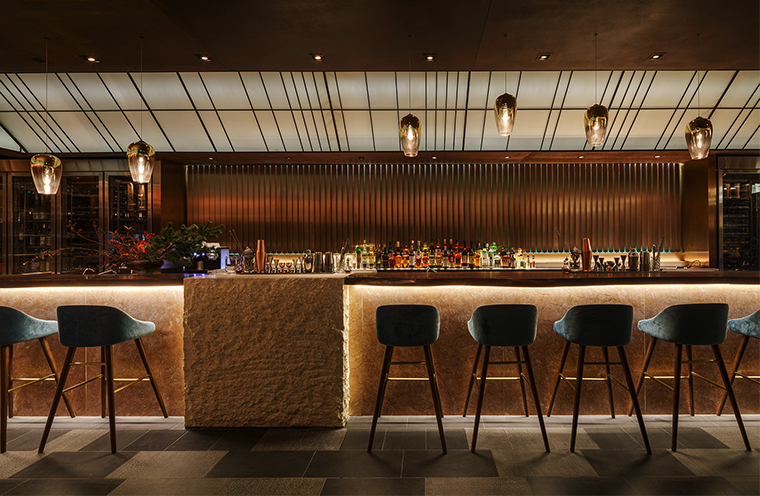 As designer Michael McGirr says: “What is attractive at UMI is the hybrid of Japanese cuisine, German ingredients, and English touch; just like Shanghai, this creates an enticing environment that embraces all kinds”.